There is this unpretentious food joint tucked away inside a village in Lipa City that has taken to heart the art of pleasing. Yo Dawg, a cosy little restaurant inside Villa Lourdes Subdivision just in front of De La Salle Lipa, is so named, the owners told Food Batangas, because it is an open invitation to dine. The name is also a play with words; and there are no prizes for guessing that the restaurant’s signature offerings are hotdogs. But while the name Yo Dawg hints at American hip-hop culture, which spawned in the streets of New York, the food on offer is a tad more sophisticated and more international than just plain American. Yo Dawg opened in September of 2015; but while it has stayed largely under the radar of food aficionados in the province, it has nonetheless been quietly building up a steady number of satisfied customers. Yo Dawg is an open invitation to dine. Much of this, it has to be said, is down to the owners’ heartfelt desire to please. Paolo Teves, Kairos de Torres, Reymark Tolentino, Miguel Atienza, Darvin Marquez, James Estoesta, Jaime Yago, Ed Licarte and Francis Reyes are the owners of Yo Dawg; and they have been friends since they were all in elementary school. For young gentlemen who are self-admitted in their collective lack of experience in the food industry, they have gone about the business of opening a restaurant in a surprisingly professional way. The group brainstormed for months and conducted extensive research before even deciding on the food offerings to include in the menu. They also picked students and professionals as their desired market niche and examined several possible locations before finally finding a suitable one propitiously close to their own alma mater. With an aim to please, Yo Dawg prices its food surprisingly cheaper than other establishments offering similar fare; and obviously as a consideration to the young people it opens its doors to. Yet, the quality of its food is anything but cheap. While at present, Yo Dawg serves food at a converted garage, in fact its food will put to shame better known establishment offering similar fare. Neither will it be out-of-place in some fancy air-conditioned restaurant inside a mall. Yo Dawg is at a converted garage, simple and unpretentious but the food is excellent. 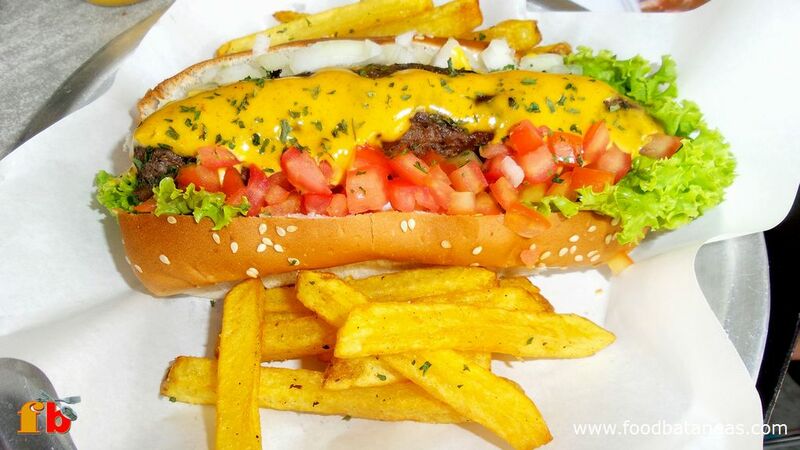 Food Batangas in particular recommends the Beef Burger Dawg, an in-house speciality with home-made beef patty served with lettuce, onions, fries and tomatoes and stuffed with bacon and cheese. This culinary delight, hard as it may be to believe, goes for no more than PHP 138. Similarly priced is the Chicken Burger Dawg, another in-house recipe served with lettuce and tomatoes and stuffed with cheese. The chicken hotdog is inventively spiced so that even a bite of it brings an explosion of delightful flavours inside the palate. 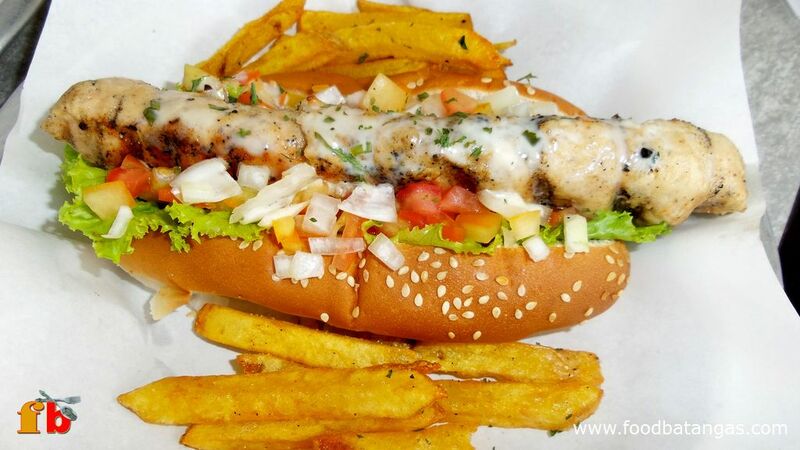 The Chicken Burger Dawg explodes in the palate with wonderful flavors. But these are not all! Taking inspiration from the nations of the world, Yo Dawg also offers German Dawg (PHP 108), Pizza Dawg (PHP 128), Mexican Dawg (PHP 118), Japa Dawg (PHP 98) and Chicago Dawg (PHP 88), among others. Yo Dawg does not lack in patriotism, either; and Sisig Dawg goes for PHP 118. All of these innovative hotdogs are served with toppings one finds nowhere else. Always eager to please, the owners of Yo Dawg make it a point to ask customers for feedback not only in the quality of the food served but also in other offerings that they would like to see. 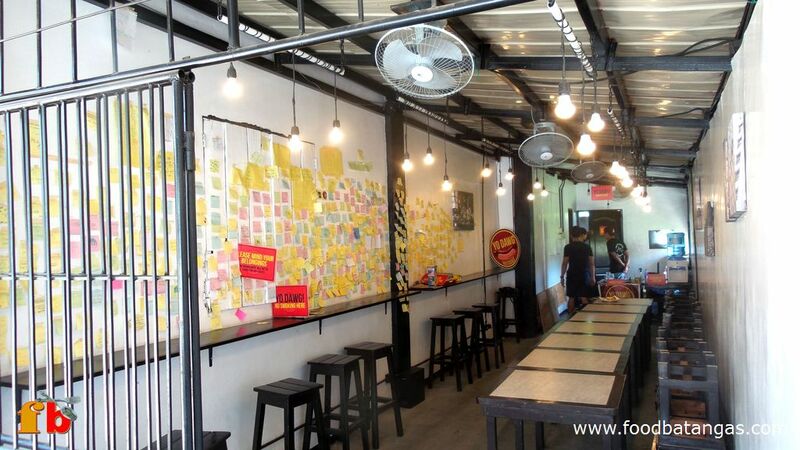 Hence, the owners told Food Batangas, the menu is evolving to better suit customers’ preferences. For instance, those who prefer rice meals can now choose between Burger Steak or Chicken Meal, priced at PHP 88 and PHP 98, respectively. For those who prefer a straightforward burger, the Yo Burger is served with cheese, tomatoes, onion rings, lettuce and fries and goes for PHP 148. The food scene in Lipa is unrecognizable from what it used to be just a decade ago, as graduates of culinary arts schools jockey to bring their inventions to the attention of the dining public. Yo Dawg is one such restaurant that is helping to change the food scene for the better, not just with inventive offerings but more so with the quality of its food, all the while mindful of the ability of its customers to pay and always eager to please. 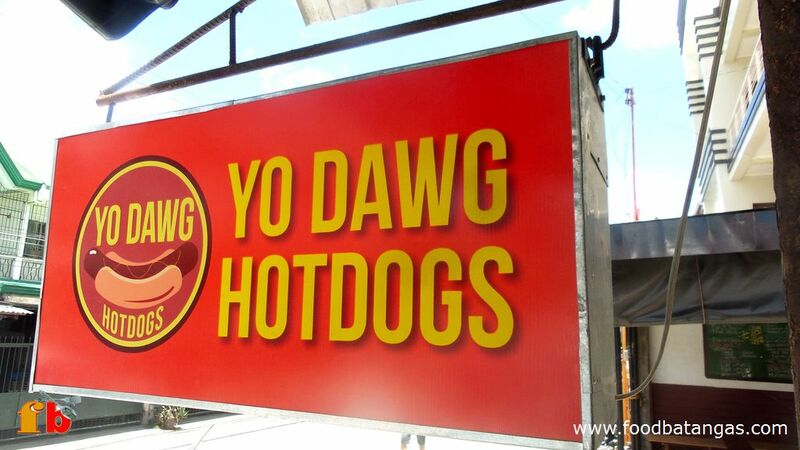 For those who wish to visit, Yo Dawg is along Yakal Street inside Villa Lourdes Subdivision in Lipa City. The restaurant is closed on Sundays.